To support an iOS device, start a session using either the full customer client app or a web-based click-to-chat session. While using the full customer client app provides the most tools for support, click-to-chat has the advantage of not requiring the customer to download an app. A click-to-chat session can be elevated at any time to request the customer to download the app and grant further support permissions. If you need to provide support at a level deeper than chat allows, you can request your customer to elevate to the BeyondTrust customer client app. 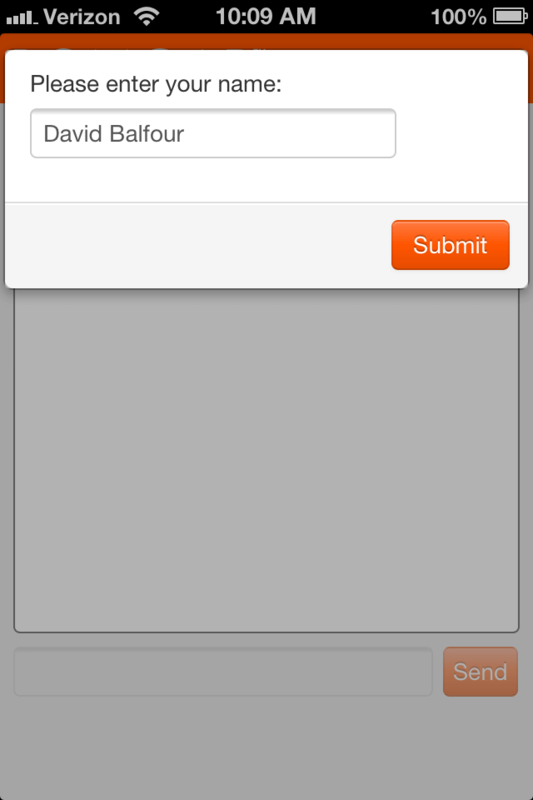 Accepting the elevation request attempts to open the BeyondTrust customer client app. If the BeyondTrust app is already installed, the session will immediately become available. If the app needs to be downloaded, your customer is taken to the Apple App Store to download the free BeyondTrust app. The session then continues as detailed in the next section of this guide.